One thing that I really liked about Broadcast Tech 2 was how we were free to film practically anything we wanted for our projects. I also really enjoyed filming morning announcements and using the green screen and the teleprompter. I liked these things because it gave me freedom to do what I wanted and I also learned a lot about video production by filming the announcements. There was nothing about the class that I didn't like, but if I had to choose something I would say I didn't like how long the JUULing video took to produce. I wish I could have filmed more projects, but overall it was worth it because the video turned out well. My favorite project was the JUULing project because I loved using the technology and green screen. One thing I would have done differently is to inform the people I was going to interview that they would be on camera because I didn't make that clear and they assumed it would be a written interview. I would also try to produce the video faster so that I could film more projects. I am open to taking Broadcast Tech 2 because I really enjoyed the class and learned a lot from it. For my final project I decided to film a video essay around beauty and body image. My story is about a girl who is struggling to feel beautiful and confident in her own skin. Throughout the video you see the girl looking into the mirror hoping to finally like what she sees. In the end of the video the mirror shatters. This is significant because I believe that it does not matter what you see looking back at you in the mirror. Society does it's very best to make people believe that looks matter. I wanted my video to portray that it does not matter what is on the outside. But it is true that many girls and boys do not like what they see when they look at their own reflection. People should care about this video because it shows that peoples reflection of themselves is not always what they want to see and many people deal with body image issues. I choose to use a poem about body image from a website called hellopoetry.com as the narration for my video. I felt that the poem I choose went well with the theme of my video and fit well with the footage I shot. I choose to film this video in the room of the girl in the video. I feel like body image is a problem many teens deal with, so filming it in a teenagers bedroom fit my theme. Overall I hope my video shows how people struggling with their reflection truly feel and give insight to others. 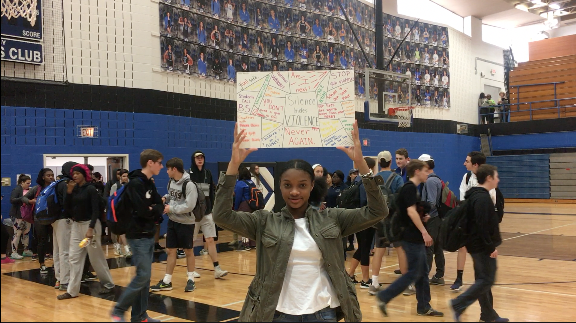 On April 20th students at Ladue Highschool joined together to have a day of dialogue to discuss the recent problems surrounding gun violence and school shootings. Students were able to attend a number of different class rooms to have open discussions and further their knowledge on these topics. Students were also given the choice to attend a study hall, rather then participate in the day of dialogue. I interviewed two students, one who choose to participate in the disscussions and another who attended a study hall. I thought that it was interesting to interview both sides of the day. I really enjoyed hearing how both students felt towards the day of dialogue and how their answers to my questions differed. I decided to film this video as a mobile story, therefore I filmed everything on my Iphone. I really enjoyed filming on my phone because it was easy to carry around and I experienced no difficulties in the filming process. I hope to film more mobile stories in the future. The only issue I did face was being limited with my b-roll and having some difficulty raising one of my interviews sound. Other than that, this video was smooth sailing! 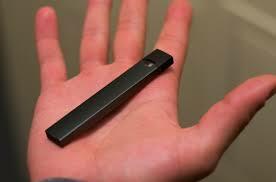 For the past month fellow students Andrew Fruend and Johnny Yeldham and I have been working on an investigative report on the JUULing problem at Ladue High School. We interviewed two students, a health professional and a principal at Ladue about their knowledge of JUULing and how they felt about the topic. We are hoping to have the final video out by the end of this month. We created a promotional teaser until the final product is complete. 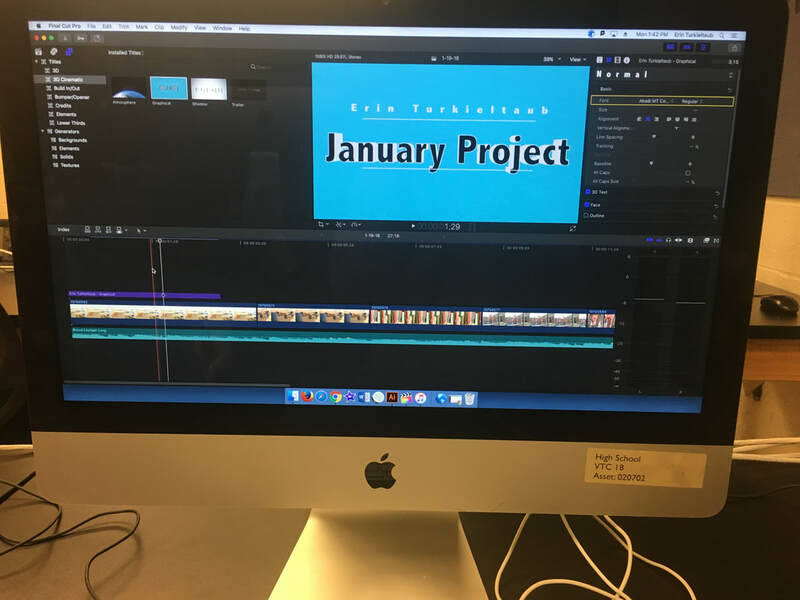 For this months project, I began working on a video project along with Andrew Fruend and Johnny Yeldham about JUULing. JUULing has become a serious problem at Ladue Highschool and we wanted to investigate more about it. To begin, we researched more about what a JUUL is and the effects it has on the body. We also constructed several interview questions for the students, teachers, health professionals at Ladue about their personal experience with JUULing and or any other information that they can provide us with. We will begin to start filming our interviews within the next week and will come out with a teaser as soon as possible. in a Broadcast Technology 2 class. This month I learned how to use two new tools to better my Broadcast journalism. To begin, I learned how to use the cameras which were a big change compared to the mobile journalism of filming on my Iphone that I was used to. As well as using new equipment, I learned how to use the Final Cut Pro editing system. On Final Cut Pro I learned how to quickly and easily trim and edit my videos. I also learned how to add transitions, effects, and titles. I am looking forward to my year in this class and all of the great things I can produce with my new tools.